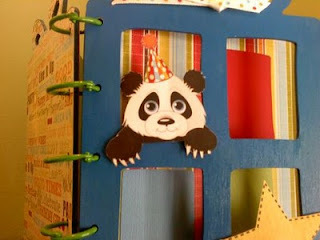 Come join Design Team Member, Jami Romaine, to create an adorable birthday themed altered album featuring Kaiser Craft`s MDF Die Cut Present Album, latest paint releases and Fancy Pants designer papers. A sample is on display at the store. Seating is limited, so reserve your spot ASAP. Register on the website --- www.scrap-a-doodledoo.com ---under the CROPS and CLASSES category; on the Meetup.com website; by calling the store at (201) 818-7060 or by stopping at Scrap-a-Doodle-Doo. Terms and Conditions: Payment is required at the time of sign up which must be made in advance. If you cannot attend your scheduled class, you must notify us no later than 2 days (or 48 hours) before the crop to receive a credit. If you cancel after that and a replacement is not found, you will forfeit your fee, as all instructors prepare class kits for each person scheduled. We reserve the right to cancel a class that does not meet minimum enrollment requirements. In the event of a cancellation, we will gladly re-schedule you for another class or refund your fee.